Birds have always been interesting subjects in dream interpretation. They appear in many forms and assume different characters and roles, and we are anxious to know whether their presence in our subconscious state represents positive outcomes or portends misfortunes. Images of specific birds carry symbolic meanings which inspire either awe or dread. Take, eagles for instance. They are looked upon as creatures of grandeur and beauty. Their ability to soar high up in the skies is legendary and has lent meaning to the expression "to soar like an eagle," which is a centuries-old metaphor for self-confidence, pride and hope. Moreover, to dream of eagles is a sign of far-reaching ambition and strength of character. Hawks and owls are steady gazers. Dreaming about these birds is an indication of deep awareness. Owing to their seemingly all-knowing, mind-penetrating gaze, these birds have become symbols of vigilance and have given birth to the term "hawk’s eye." In other dream encyclopedias, these birds of prey appearing in dreams could contain a warning to be mindful and cautions of the dangers which lurk nearby. Crows, for their part, have a notorious reputation for and are widely considered as bearers of trouble. Their presence in dreams is frequently a foreboding. Their color, menacing appearance and the fact that they are scavengers conjure up morbid images of suffering, disease and death. However, many sources of mythology and dream interpretation around the world also view crows as symbols of wisdom. As for ravens, the meaning of a dream about these birds is ominous of betrayal and abandonment. It also suggests a string of misfortunes and the imminent danger of being subjected to other people’s abuse due to powerlessness and being helpless. 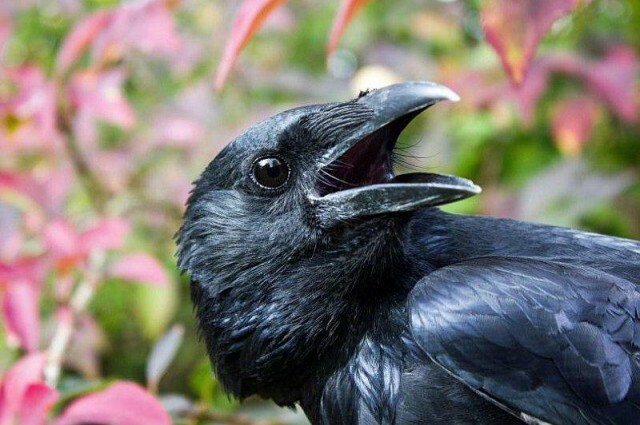 In addition, a dream involving a raven perched on a tree branch could mean a symbolic death, which may indicate an end to a bad habit or a particular period in your life. If you happen to dream that you are having a conversation with a talking bird, both positive and negative interpretations can be gleaned from this experience. First, it could mean being on the verge of success with your current project or undertaking. On the other hand, it indicates a problem in communication, a language barrier, a point or idea “lost in translation.” This is particularly true when the bird in the dream is either indifferent or unresponsive. There are dreams in which characters appear with strange features combining human bodies and bird heads. What could dreams about these strange birds mean? Most likely, these chimeric images could be a portrait of a person’s ingenuity and inventive side. These symbolic visions could represent a phase in a dreamer’s life which may hint at an inevitable change or usher his or her complete transformation.